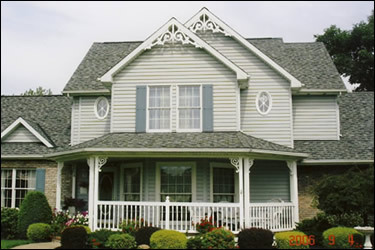 Add instant curb appeal with Gable Decor! 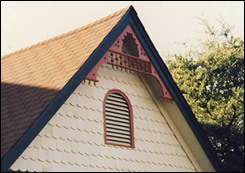 Gable Decorations are one of the quickest ways to change your home's overall appearance. 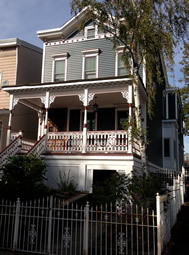 In fact, Gable Decorations may add more impact per dollar than anything else you can do outside! We have a wide variety of designs to suit your house style and personal preference. 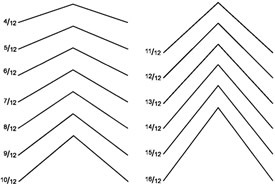 And, all of our Gable Decorations except Flying Circle (4208) can be slightly modified by us (at no additional charge!) to fit most roof pitches (slopes). You can easily determine your roof's pitch using our Pitch Finder. 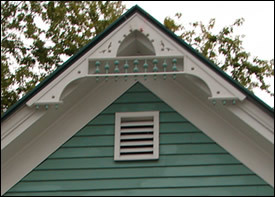 Due to the weather exposure gables typically receive, please consider Cellular PVC for your Gable Decorations. It's a synthetic wood that will never crack, warp, or rot and is impervious to moisture, salt, and insects! That's perfect for Gable Decorations, since they're difficult to re-paint once installed. A customer, upon receiving her PVC Gable Decoration, emailed to say, "I sent you an email Saturday stating the Gable [Decoration] was wood, not PVC. The contractor who was putting this up said it was wood. My husband, who is a carpenter, said it is PVC. 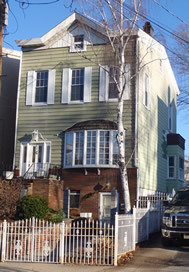 It just looked and felt so much like wood the contractor could not tell the difference." 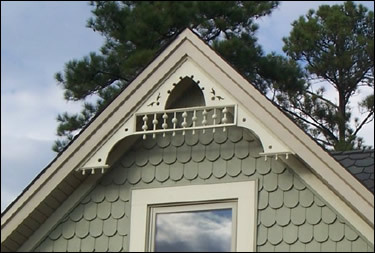 Running Trim can be used along the eaves of your gable, either with a Gable Decoration or by itself. 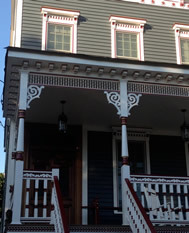 When using Running Trim in gables, we strongly recommend upgrading to PVC to minimize the upkeep. Use Polyurethane Vents to keep the low maintenance theme going. Our Louvered Vents are High Density Polyurethane, the only kind we sell. It feels, sounds, installs, and paints just like wood but that's where the similarities end! 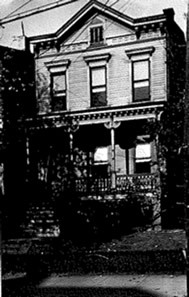 Flying Circle Gable & Vent in photo. We just received this series of photos from Steve... What a fine example of restoring architectural authenticity to his family home! 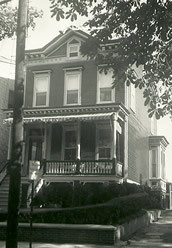 Original architectural details have been replaced by a more modern, colonial look. We love sharing in your success, so please send us your photos!